The cast of “Haruhi” like you’ve never seen them before… From the creator of the international hit “The Melancholy of Haruhi Suzumiya” comes a new spinoff featuring familiar faces. 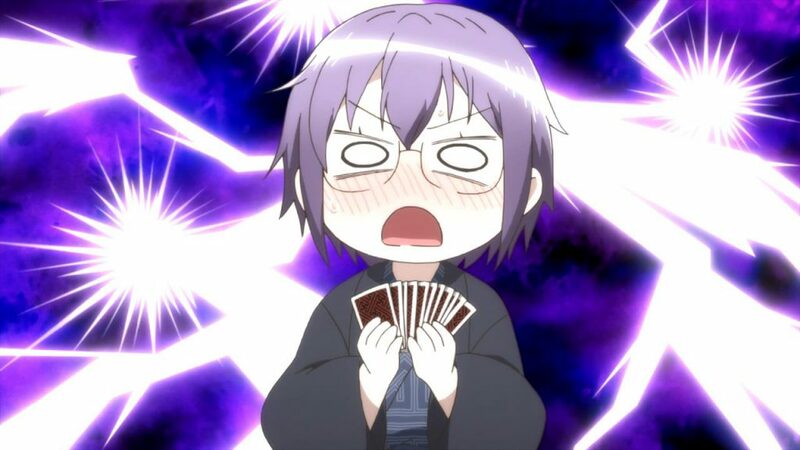 In an alternate universe, shy, awkward Yuki Nagato attempts to court her crush, Kyon, with the help of her best friend, the perky and indomitable Ryoko Asakura. Together, the trio defends their high school literature club from extermination… and from the pestering of Haruhi Suzumiya and her lovable friend Koizumi! Watch as Yuki navigates normal high school life, like Christmas parties, festivals, and feelings. And when another side of Yuki comes out full force, will her chances with Kyon be obliterated? Ok, so I’m a real big fan of the original “The Melancholy of Haruhi Suzumiya” series. It’s so weird and original and the first season of it was released with every episode not being in chronological order: so some things didn’t make sense because you were three episodes behind. It was just such an original thing for an anime or cartoon to do that it becomes one of your classic favourite anime’s easily. So when the opportunity came to review the spin off series I happily took it. 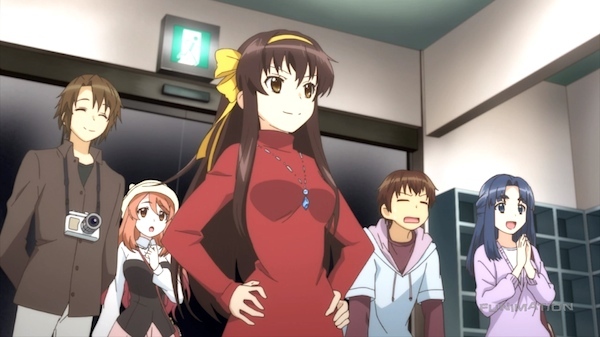 I have to admit, I thought that there was going to be similar quirky aspects to “The Disappearance of Nagato Yuki-chan” as there is in “The Melancholy of Haruhi Suzumiya” but boy was I wrong. 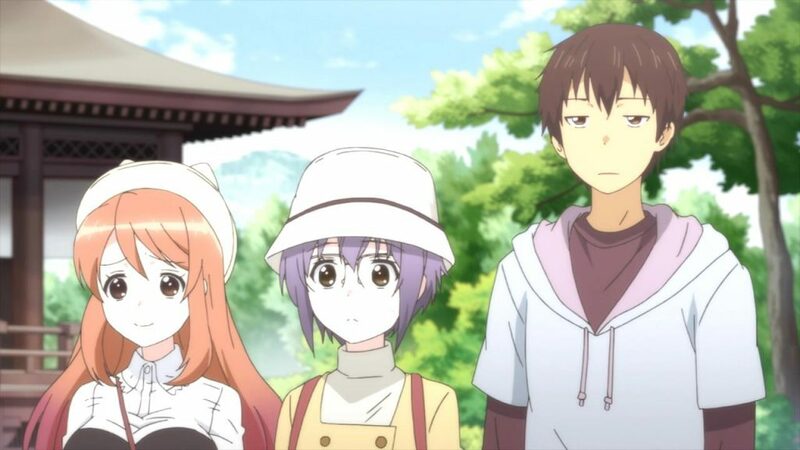 “The Disappearance of Nagato Yuki-chan” is more or less the original series without the espers, aliens, magic, and focused around Yuki instead of Haruhi. All the characters are their usual loveable selves, Kyon is still a bit of a perve, Haruhi is still overbearing, Koizumi still doesn’t know the meaning of personal space, Mikuru is still very… perky… and Yuki gets a personality that’s adorable and lovable in a helpless kind of way. There are tones of little easter eggs throughout the series referring back to the original, so it was wicked seeing each of them and feeling like a total Haruhi nerd lol. This is an incredibly ‘slice of life’ anime though. I’m not generally a fan on slice of life because I live life so I don’t find it fun watching different versions of school life that more or less follow the same formula every time. But I feel the reason that this ‘slice of life’ anime is so enjoyable is because we already know the characters, and now we get to watch them go through normal high school life without all the weird magic and alien and time travelling interference. So whilst I do reccomend you to watch this, I highly recommend that you watch the original first. Or maybe the original was too weird for you, so the this spin off can help bring the normal back that you prefer in your ‘slice of life’ animes. 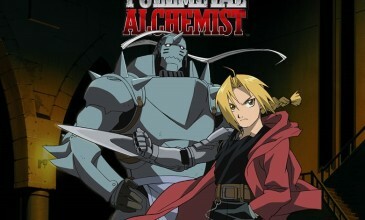 There are 16 episodes plus a bonus OVA short that was HILARIOUS!! The OVA comes with a preview also. The main episodes come in both English dubs and Japanese with English subtitles, so whichever you prefer both of your bases are covered. There’s additional special feature content in the form of TV spots + BD/DVD Promo, textless opening and ending songs, and the US trailer. Available on both DVD and Blu-ray.